The appartment has a livingroom with a cute balcony on Barco street and a dining room with a big table. The bedroom is quite spacious and has a very comfortable bed. Nice shower in a not so large, but practical bathroom with hair dryer. Kitchen is practical as well and fully equiped with toaster, microwave and washing machine. 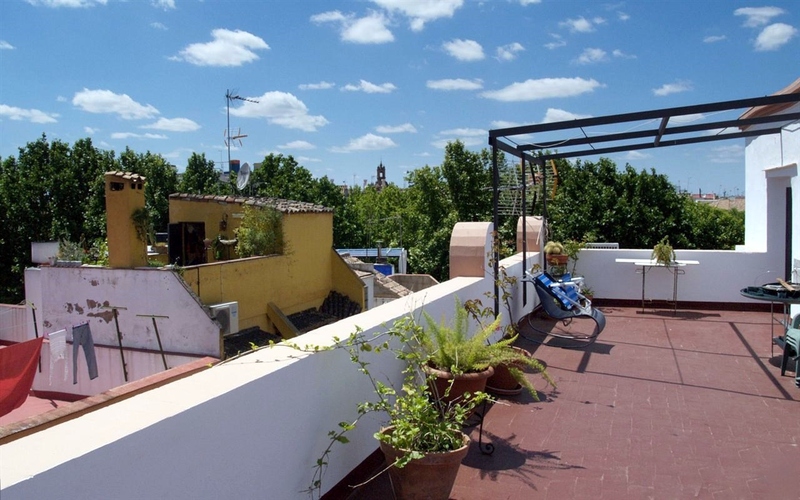 Fantastic terrace on the roof where you can enjoy the sun or some nice views over the city.